If you're waking up with a sore jaw or headaches, or you've noticed chips or flattening of your teeth, a consult with Dr. Kari Mann should be on your list. The sooner the problem receives attention, the less damage there will be. 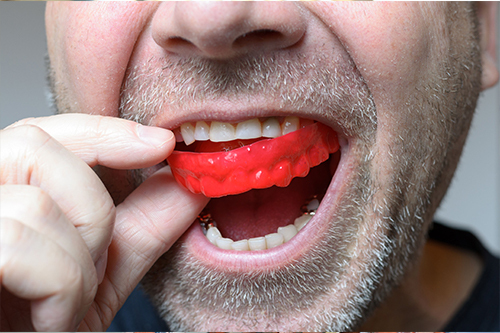 Often a carefully calibrated night guard with a distinct bite relationship built in will eliminate the symptoms while protecting your precious enamel. Daytime habits of clenching or grinding deserve attention, and strategies to reduce the problem may be developed. Dr. Kari Mann will also analyze the current relationship between your teeth to make sure they're moving against each other optimally when you chew. Regardless of the cause, eliminating the strain on the jaw and your teeth as quickly as possible can save you many problems as time goes on.